RI Family Court Enters Digital Age with E-files & E-Filing! The Misguided Family Court Constitutional Amendment Guy! RI Family Court (2013) & Law News; New Rhode Island Judge & more! RI Top Court: Lawsuit Alleging Constitutional Abuse by Family Court is MOOT! Why RI Family Judges do not care that your attorney fee is exorbitant! 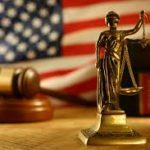 RI Family Court – Know Your judge! 5 Mistakes to avoid in Providence Family Court! Three Important RI Family Court Tips! RI Family Court: Different Judge Sometimes equals different Decision!